Pajamas on Christmas morning are a tradition I have seen many families do. Sometimes they are the only gift given on Christmas Eve, and sometimes their family Elf brings them right after Thanksgiving. No matter how you get your Pajamas, you know its fun! Plus this ensure everyone has clothes on in those holiday photos! Our adult onesie pajamas are made from 100% soft jersey cotton or warm polar fleece that make them comfortable, cozy, and great for just lounging around in. They also come in a wide range of different designs that you can find on our Funzee Range page, so there is a funzee to fit every personality. While most children get a set of new pajamas each year, we have been leaving ourselves out of the picture. 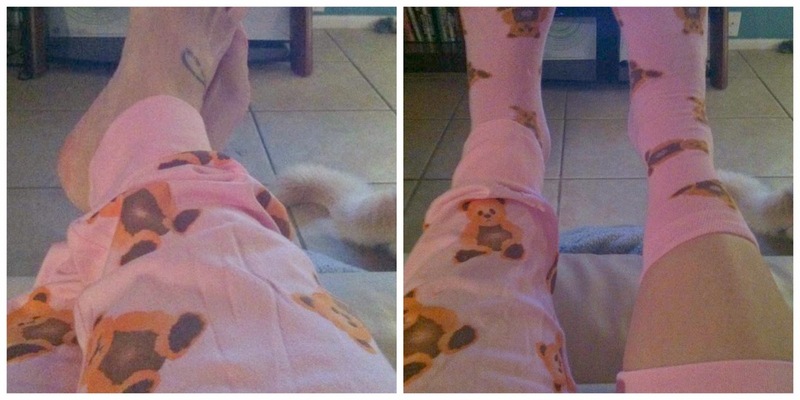 Adults need fun pajamas too! When I say "fun" I'm not just including a few pieces of clothing to sleep in. At Funzee, you can get a Full Body Onesie!! Check out that hood! Along with the long sleeves and elastic cuffs around my ankles and wrists, I feel this onesie is perfect for me! I am cold most of the day, so at night you can only imagine how I sit down after the long day to relax. Sometimes I sit there and shiver under my blanket though. I didn't experience that when I was wearing my Funzee onesie! 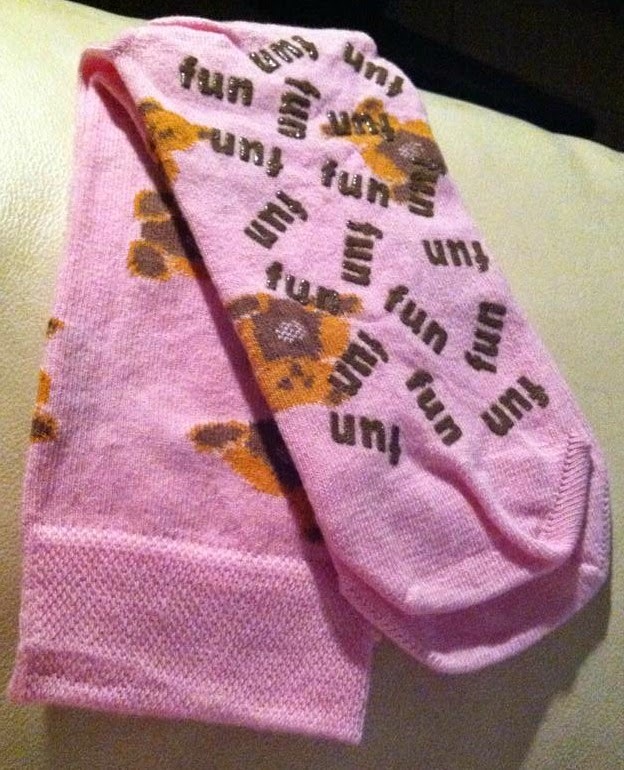 As I am always cold, I was really excited to see a pair of sock included in with the onesie! They have words written on the bottom that help with slipping. I love the length of the socks. I am usually one to wear ankle length, but when I'm cold or ready for bed, I prefer to extend that warmth up my leg a little! Wouldn't these cute teddy bears be a delight in your pictures on Christmas morning? Check out Funzee to get your holiday pajamas as well as your every day pajamas! So many options to choose from. What a fun set of jammies! I love em! I will have to check these out for sure! Nice. Love the print and it looks really warm and comfortable to wear! Those look like so much fun. I bet they are warm!